DESCRIPTION Wonderful family Home set in quiet crescent across from a playground. This home features INFLOOR HEAT in the lower walkout(partially finished), and in the upper level bathroom. The welcoming veranda leads you into the front foyer with 1/2 bath /laundry and large walk in pantry to kitchen and garage. How handy is that? The kitchen has a large granite island , SS Appliances, Dark cabinetry, large eating area and door to deck. The Great room has a gas FP to warm the room. Recently painted on main and upper the home is bright and cheery giving you that homey feeling. Upper level has full width windows off the BONUS ROOM that offers glorious views of the mountains. The hall has room for IT desk area. 2 bedrooms share heated floor 4pc bathrm. Master has WI closet, 4pc ensuite. Speakers in ceiling throut, undergd sprinklers, fenced/landscaped yard,central vac. CLose to parks, walking paths, elementary and catholic high school, along with other amenties. Family friendly neighborhood. WELCOME HOME! Home for sale at 119 Sunset Ci Cochrane, Alberts T4C 0C4. 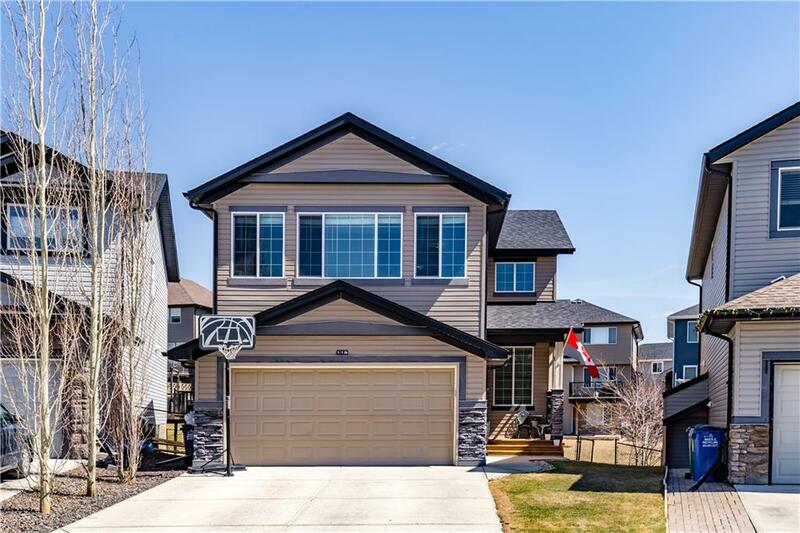 Description: The home at 119 Sunset Ci Cochrane, Alberta T4C 0C4 with the MLS® Number C4225730 is currently listed at $475,000.